Bitcoin and Bitcoin mining can be a bit difficult to grasp at first; we hope to answer your questions here. Bitcoin was invented by anonymous user ‘Satoshi Nakamoto’, who published his invention in 2008, and released as open-source software in 2009.
Who prints or creates bitcoin? The Bitcoin protocol – the rules that make bitcoin work – say that only 21 million bitcoins can ever be created by miners. This will be reached in 2024. What makes it different from regular currencies? Bitcoin’s most important characteristic, and the thing that makes it different to conventional money, is that it is decentralized. No single institution controls the bitcoin network. This puts some people at ease, because it means that a large bank can’t control their money. Around the world, people are using software programs that follow a mathematical formula to produce bitcoins. The mathematical formula is freely available, so that anyone can check it. The software is also open source, meaning that anyone can look at it to make sure that it does what it supposed to do. 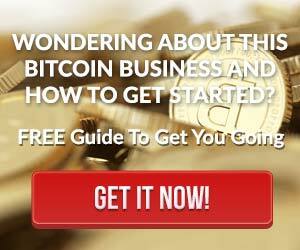 How do most people make money with Bitcoin? What are the challenges of Bitcoin mining? Bitcoin Mining is very capital intense and to be competitive in you have to own huge warehouses with loads of servers. The average man on the street is unable to participate in the production of the mining and therefore have to stick to trading Bitcoins. They then turn to Cloud Mining. What are the biggest risks of cloud mining? Don’t know the owners of the Bitcoin mine. These companies have opened up their cloud mining interface book for us to mine in when as a matter of fact we are helping them fund the running of their servers and helping them pay electricity and other expenses. This is where the smaller companies fall away because of the huge capital outlay. They offer fantastic returns but you stand a chance of losing your money. In South Africa, we like to use a service called, Luno. 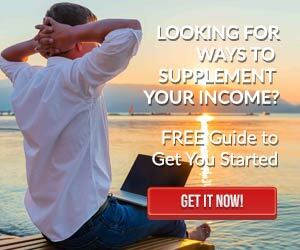 So what you need to do is, go to, Luno, and register for a free account. You will then be guided through a verification process. This might seem a bit long and frustrating at first, but keep in mind, Luno is very secure and this is all for your protection. See your Luno account as a bank account for which you need to get FICA’d. Once you have gone through the verification process, you are able to transfer money directly from your bank account to your Luno account. When you have funds in your Luno account, you are able to purchase Bitcoin. *Pro tip, use the Luno app on your phone, it is much simpler to use than the website. If you are purchasing Bitcoins to pay for your mining contract, you need to work out the exact amount of Bitcoins you need to purchase. We explain that in the next Frequently Asked Question below, How do I buy a Bitcoin mining contract? Click on the 'Buy Now' button on our How to start Bitcoin Mining page (will open in new tab), under the relevant option you have selected. You will be asked to enter your details, and then you must select the Bitcoin option to pay (unless you have a voucher). BUT BEFORE you agree to the terms and click on 'Confirm your order', make sure you already have the Bitcoins to make the payment! The value of Bitcoins change all the time, so you only get a 15 minute window to pay at the price on the next screen. 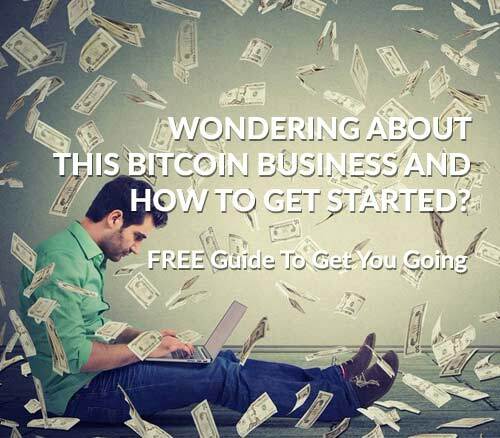 So at this point, you should be ready to purchase Bitcoins, which we explain here, How to buy Bitcoins?. Now, as explained at the link above, How to buy Bitcoins?, you should already have your account setup at LocalBitcoins.com, you've selected a trader, and you're ready to purchase. LocalBitcoins.com takes a 2% cut of the trade. This is standard practice with all trading sites. The Bitcoin price also goes up and down all the time. So you are going have to add a little extra in case the price changes during the time of your purchase. I would suggest then, buy 5% extra in total on top of the Bitcoin value needed to buy your contract. So now you're ready, you know what calculation to make and you're ready to make the purchase on LocalBitcoins.com, click on 'Confirm Order' in the Dragon Mine portal. Now work out, the BTC amount on that screen, times it by 5%, then type the new amount in the BTC field on LocalBitcoins.com and ask the trader how much he will charge you for that amount of Bitcoins. If he is online, he should reply immediately. If you look at the top right of your screen, you will notice a little speech bubble. As soon as he replies, you'll get a notification there of the reply. The trader will then give you the ZAR amount you need to transfer to complete the transaction, you'll notice on the right of the screen, you will get his banking details. Then what you need to do is, login to your online banking facility, copy and paste his banking details across, and very important, make sure you enter the reference number correctly so that the trader can identify your transaction. Once you have made the transaction, you simply wait a few minutes and you'll get a notification again, top right on the LocalBitcoins.com website, once your Bitcoin has been transferred to your Wallet. Now click on 'Wallet', and you'll see your Bitcoins there along with an address. You need to copy and paste that address to the purchase screen in your Dragon Mining Systems control panel to complete the purchase. We know this seems like a lengthy process, but if you go through the steps, it is quite simple. We are also ready to help you through this process. Simply click here to contact us. We respond very fast during business hours, so keep your phone handy!